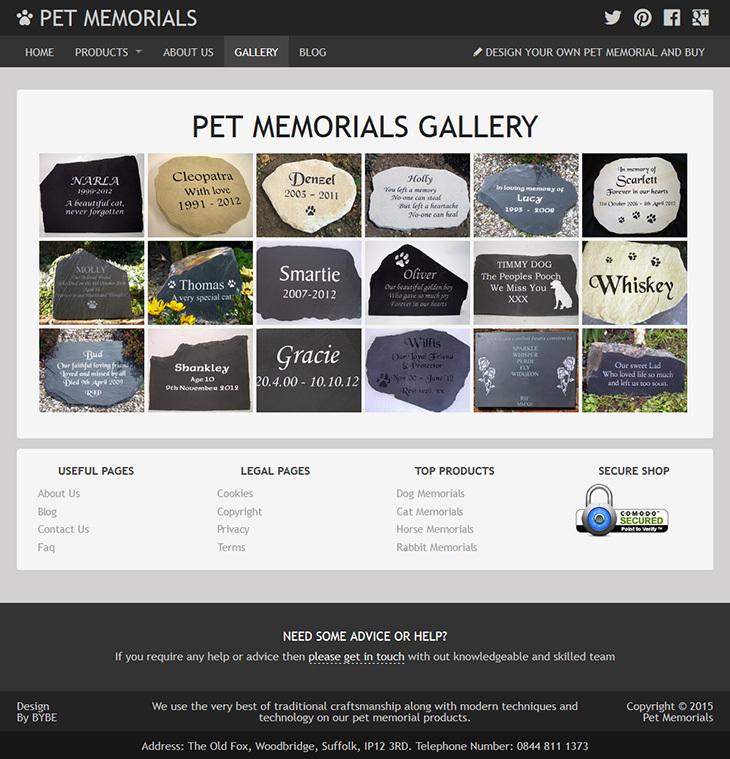 BYBE has been providing low-cost web design and national SEO related services to Pet Memorials UK for over 5 years. We enjoy working with Pet Memorials because they love what they do and they are very technical minded like ourselves. 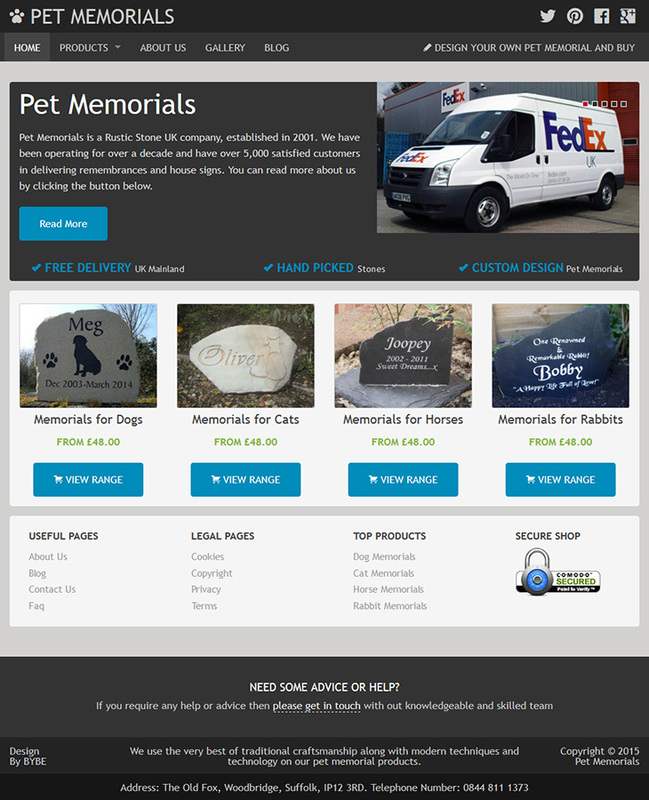 While memorials may not be the most creative niche to design sites for… Pet Memorials is an superb example of what our designs can do for small family run businesses. Pet Memorials is a small family run business that makes and sells bespoke memorials using some of the finest stone that the UK has to offer. Their team uses a mixture of traditional craftsmanship and modern techniques to achieve high-end memorial stones for pets. Pet Memorials is sister company of Rustic Stone and you will notice that the website designs are both very similar, this is intended and has helped the Rustic Stone Group save money on design costs. Their new website design is fully responsive and unlike Rustic Stone uses Joomla rather than WordPress. The team at BYBE used HTML5, SCHEMA, jQuery, CMS Joomla and the features of ZURB Foundation to deliver a bespoke Joomla Template Design that offers a great user experience. Pet Memorials has increased their conversion rates more than a 100% since the previous year and we believe this is due to the fact the new website is much easier to use.